Tom Quest installed the collaborative artwork "Rivers, Roads, Remains" outside my studio door. This trio of panels by a trio of artists -- Tom, Marcia Joffe-Bouska and me -- will be up on the third floor of Hot Shops Art Center during the upcoming open house Dec. 5 & 6. In late December we'll move it to the Kaneko for the showcase of visual artists nominated for Omaha Entertainment and Arts Awards. We are trying to match it with a suitable buyer. If you have ideas, or are interested yourself, please let me know. 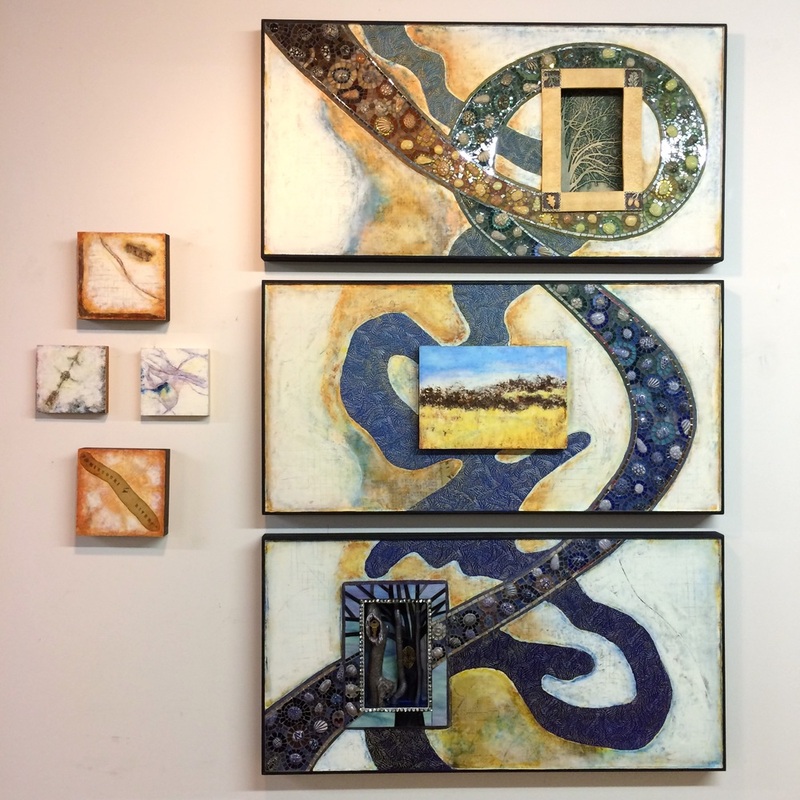 A 40x60" mixed media collaboration, "Rivers, Roads, Remains" hangs near my studio door.